Well I just became a member of the 996 club! She is in very good condition although there are a few of the "normal" jobs to complete. The jobs at the top of the list currently are replacing the exhaust silencers and replacing the studs and fittings for the exhaust manifold to cat flanges (am I mad to be thinking of attempting this myself - I've heard a lot of heat is required...). Welcome to the 996 club. I'm not scared of the exhaust manifold to cat flange bolts. They are accessible and with patience, heat, and cutting gear you car remove them. It is the manifold to head bolts which I dread having to do. My plan is to only do them when an engine is out of a car. With the rear bumper and heatshield off, which can also have corroded nuts, it is all easily accessible. Post up your progress, we all like a good work thread. Thanks Guys - yes it is the flange fittings luckily not the manifold to head (yet). 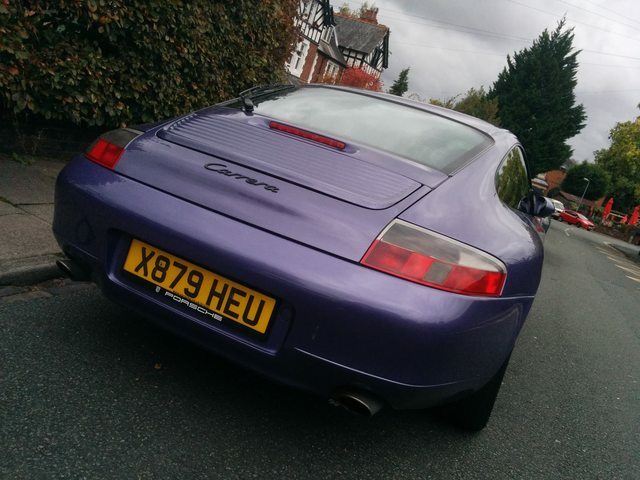 The colour is a Paint to Sample and is an old 993 colour called Veilchenblau (Violet). Will definitely be posting up a work in progress update when I get to it, might even video it if I'm feeling brave! Nice, thought it was zenith like mine. Nice one. Glad you found a car to your liking. Distinctive too! Welcome to the rare colour club! I've only seen one other that colour. The start of a great ownership journey. Enjoy. 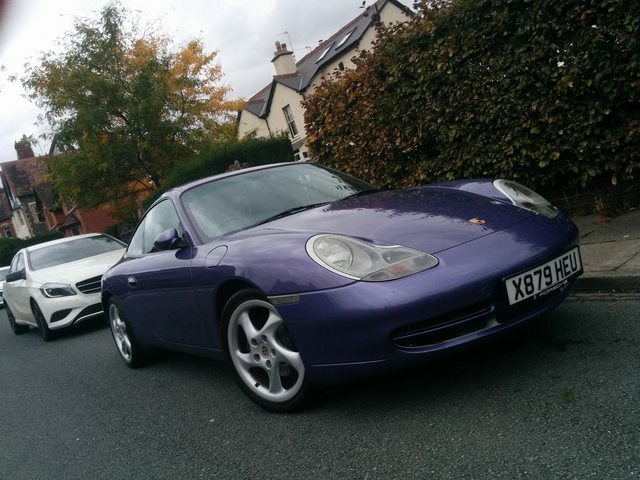 Love the colour and it really suits the unfussy, clean shape of 996. 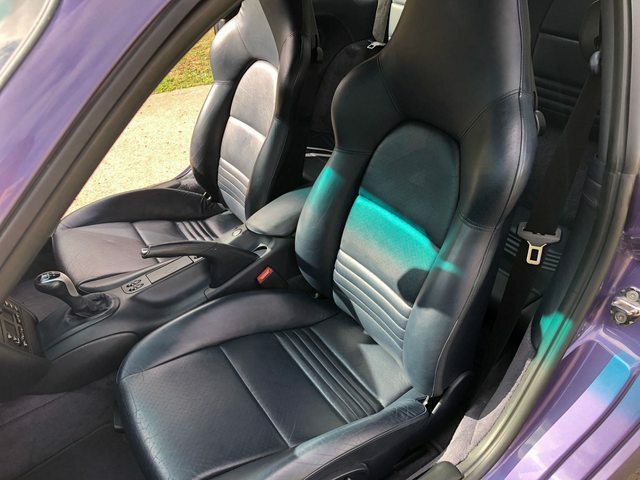 The interior is Metropole Blue Leather with Nephrite Green Trim.